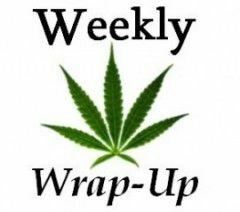 Maryland reveals its official medical cannabis application tally, a Colorado infused products company announces a landmark international expansion deal, and a pair of conservative states may be poised to legalize medical cannabis in 2016. Maryland’s medical cannabis commission announced Thursday that it received an eye-popping 882 MMJ license applications by the Nov. 6 deadline. The state will eventually issue up to 94 licenses for dispensaries, 15 for growers (which will be allowed to have a single dispensary apiece) and an undetermined number for processors. “I think 882 far exceeded the commission’s expectations, and also the industry’s expectations. But they didn’t place any restrictions on the number of licenses you could apply for,” said Tyler Anthony, an attorney with Canna Law Group, which helped several clients with applications in the state. The commission also noted that a “significant percentage” of companies that filed applications did so for each of Maryland’s 47 senatorial districts. Under the state’s MMJ laws, each district will ultimately be allowed two dispensaries apiece. That means the total number of companies that have thrown their hats into the ring is almost certainly much smaller than the number of actual applications. The commission did allow only one application per company for cultivation licenses, however. And there were 102 of those, compared to 705 dispensary applications and 75 processor applications. It’s unclear how competitive the licensing process may now be, Anthony said, because the initial application fees were relatively low. The timeline for licenses to be awarded is now unclear, as the commission stated in a press release that the huge number of applications it has to sift through could delay the rollout of the program. Dixie Brands, one of the most high-profile edibles producers in Colorado, announced at the 2015 Marijuana Business Conference and Expo (MBCE) on Thursday that it has inked a partnership with Cann Group Limited, an Australia-based company that ultimately will produce both CBD- and THC-based product lines for distribution in the nation and in New Zealand. The deal could arguably be seen as jumping the gun, since marijuana isn’t currently legal for medical or recreational use in Australia or New Zealand. But Cann Group CEO Michael Murchison said his nation’s new prime minister has indicated that MMJ will almost certainly be legalized in the country soon. “The new prime minister is moving quite swiftly,” Murchison said. There are other indications that the two nations are moving towards MMJ legalization as well, including upcoming clinical trials in Australia and high-profile financial backing for the research. There are similar signals coming out of New Zealand, according to the Denver Post. Regardless, the deal calls initially for Dixie-branded products that are derived from industrial hemp and infused with CBD, including topicals and cosmetics that are already legal. That will lay the groundwork for THC-infused products at a later date, once the two nations (hopefully) legalize MMJ and/or rec. The deal has been in the works for roughly two years, which gives another indication of the company’s ambition to become not just a national brand but an international one. And if Dixie’s gamble on Australia and New Zealand pans out, it could encourage plenty of other companies to make similar moves. For example, Colorado-based Medically Correct is also already planning international expansion into markets such as Canada and Jamaica. MMJ Coming to Red States? During a panel at the MBCE on Thursday, Marijuana Policy Project founder and executive director Rob Kampia pointed to Nebraska and Kentucky as two previously unlikely states that he thinks are now ripe for MMJ legalization via their respective state legislatures. “Literally, if we had a Power Point, it would be lit up on the map,” Kampia said of Kentucky in particular. He noted afterward to Marijuana Business Daily that MMJ was a hot topic during the Kentucky gubernatorial campaign, with Republican Matt Bevin voicing his support for legalizing, and Democrat Jack Conway standing against it. That, combined with the softening political atmosphere at the Kentucky Capitol with regard to cannabis, means the state could become the first southern one to legalize MMJ. Kampia said it’s obviously not yet a done deal, and MPP plans on gauging support in the state Senate, but the speaker of the House is already on board with legalization. “But Kentucky’s on the map now,” he concluded. On Nebraska, the legislature there has already approved a MMJ bill twice, but Republican Gov. Pete Ricketts stood in the way with his veto pen. The clincher there will be if MPP and its allies can flip at least two votes in the state Senate to get a veto-proof majority and bring Nebraska into the MMJ fold. If both of those states join the 23 others with workable MMJ programs, that would mean fully half of the United States has legal cannabis in some form or another. In other words, 2016 could go down in history as the national tipping point for marijuana reform.